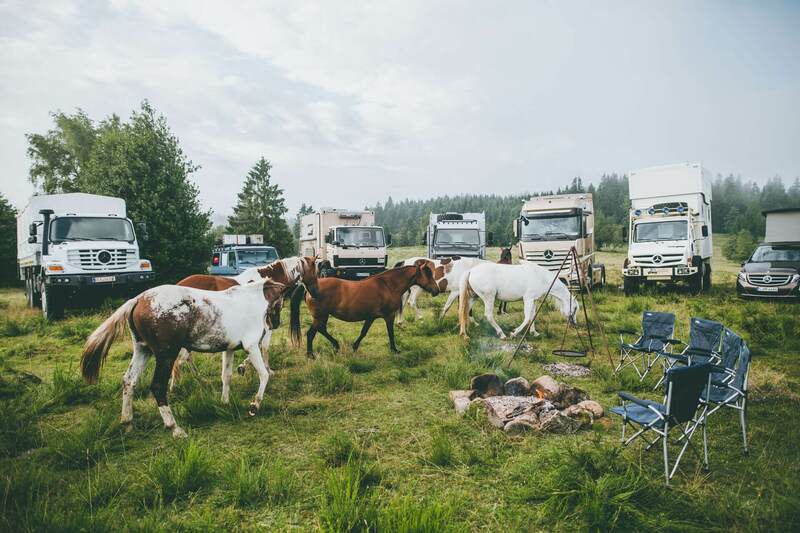 More than a dozen car enthu­si­asts come together for a unique overnight stay expe­ri­ence: surrounded by nature, in their cars, out in the open. 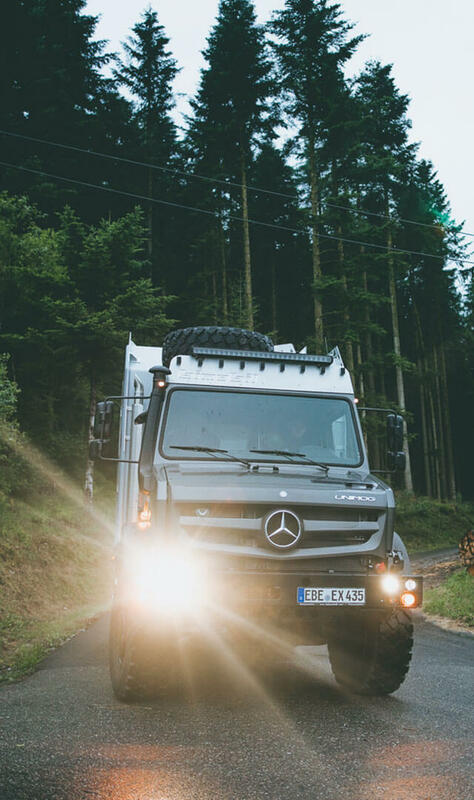 The divi­sion for commer­cial vehi­cles of Mercedes-Benz had invited for an outdoor event beyond all glitter and glamour. The guests: hand-picked blog­gers and jour­nal­ists. The target: a push for online commu­ni­ca­tion, along with inten­sive contact and the exchange with impor­tant influ­encers. 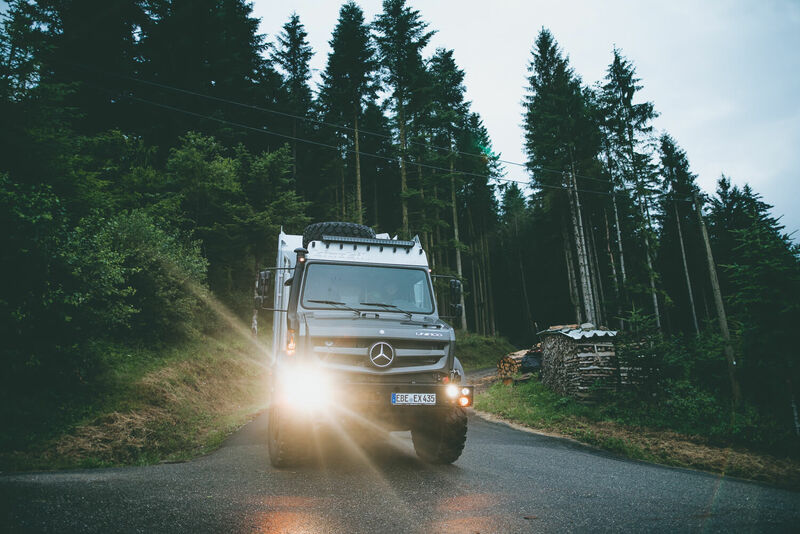 The SleepOut-Camp is a cross-section of the off-road vehicle port­folio by Mercedes-Benz: a Mercedes 914 all-wheel truck, three Unimogs, an Actros, a Zetros, a Marco Polo Camper and a G-Class. Each single model is a specialist and ideally suited for nature. The center and show­piece is the “Otto”, the Mercedes 300 GD, which has trav­elled almost 900,000 kilo­me­ters, construc­tion year 1988, owned by globe­trotter Gunther Holtorf. Almost a family member and a Guin­ness record holder, and prob­ably the most famous off-road vehicle in the world, which it has surrounded in the past 26 years while visiting 215 coun­tries. The meeting point is the gravel pit in Ötigheim, the all-wheel drive test course of Mercedes-Benz. Steep slopes, exca­vated water courses, scree and potholes simu­late almost every possible appli­ca­tion area. 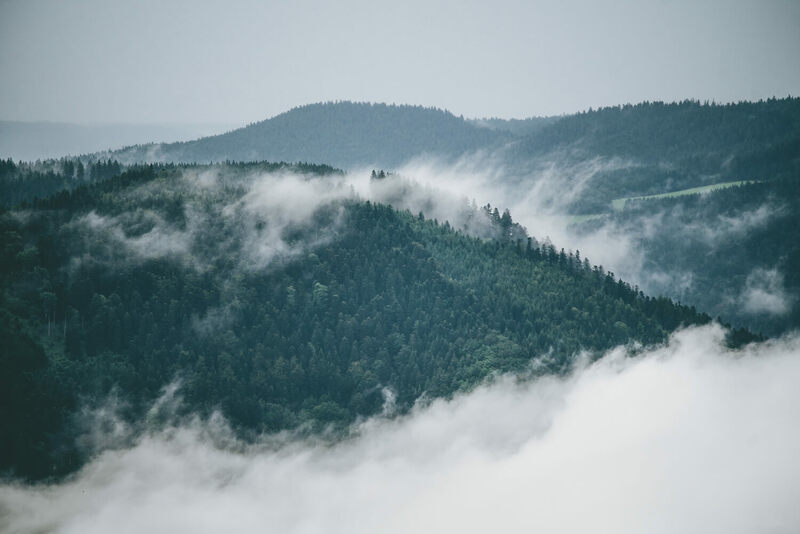 The actual expe­di­tion is heading for the Black Forest. 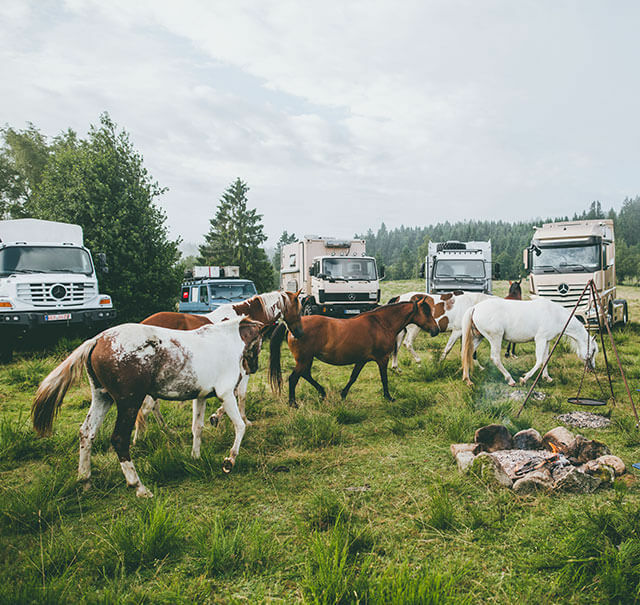 The desti­na­tion: the Grubhof Camp­ground, the highest situ­ated farm in the central Black Forest. 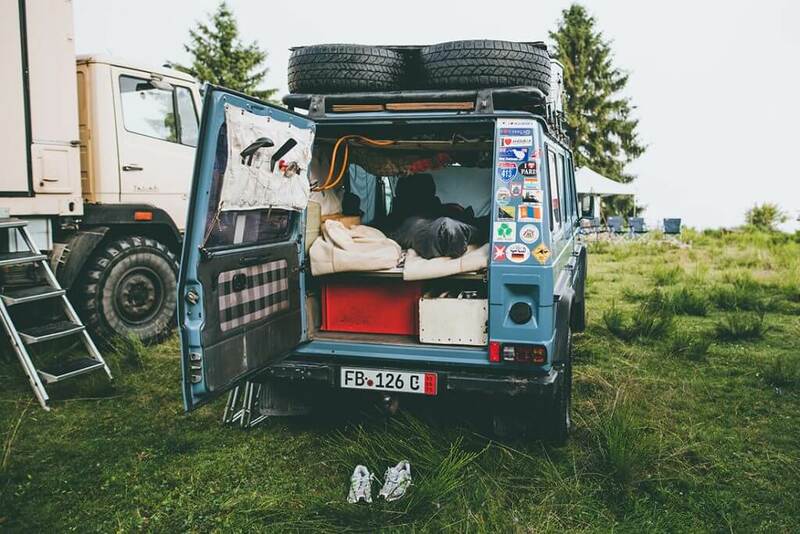 On a grassy hill with an ideal view, the fleet becomes a circle of cara­vans. 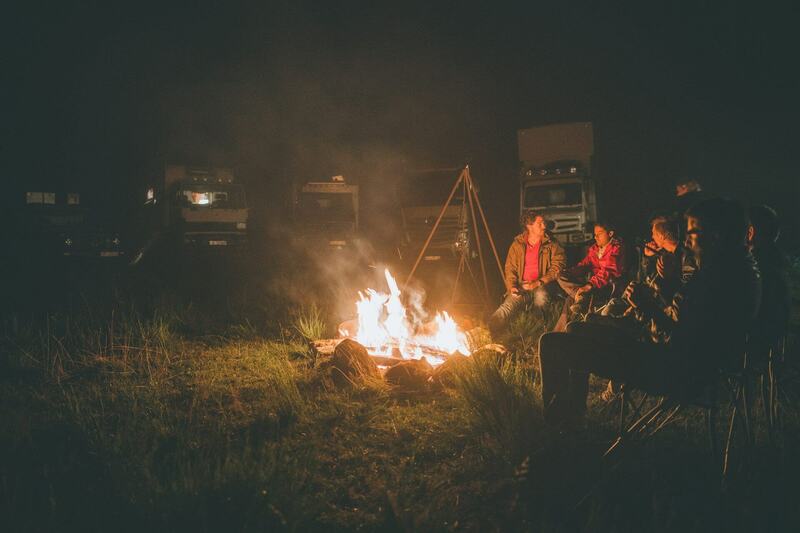 There is a camp­fire and a barbecue. And of course there are stories of the big, wide world: Gunther Holtorf knows a count­less number of them, from every place on earth at least one. At some point, the troop retires. The guests are now able to test the fleet for qual­i­ties that car magazines only consider very rarely: the sleeping comfort and quality of relax­ation. 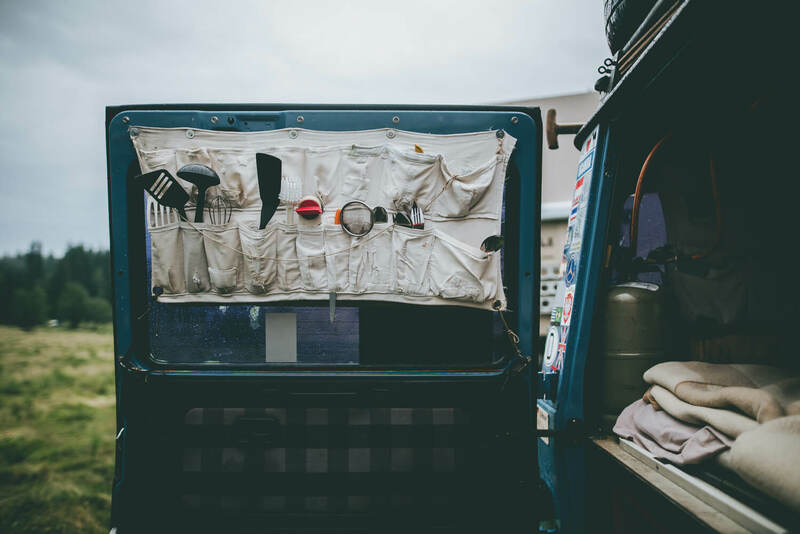 #MBSleepOut was broad­cast via livestream on the Mercedes-Benz Face­book page. Up to this day, almost 700,000 people watched the “adven­ture with a heavy device”. This makes the #MBSleepOut livestream the most successful one by Mercedes-Benz so far.